This beautiful top floor unit 2 bedroom, 2 bathroom downtown condo in the Vista offers tons of natural light. Its open concept is perfect for entertaining with amenities that surpass most of Columbia's condo living, such as a pool and exercise/common area room on site. 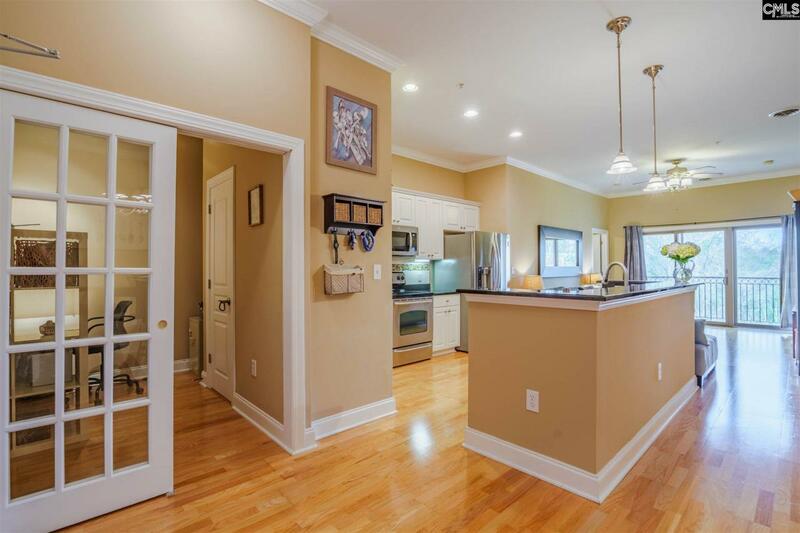 Granite counter tops, stainless steel appliances, walk-in closets connected to full baths; this condo delivers! The convenience of down town with the security of a gated community with reserved garage parking steps from the elevator. This property is a must-see. Furnished option available. Storage room included located right outside the condo. Enjoy peace of mind with an included home warranty. Listing courtesy of Breakwater Llc. Listing provided courtesy of Breakwater Llc.